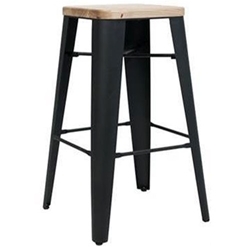 Features: Modern Popular Indoor use Stool. Seat: 30mm thick Natural Ash Timber seat. Frame Colours: Steel Powder coated frames in either White or Matt Black.